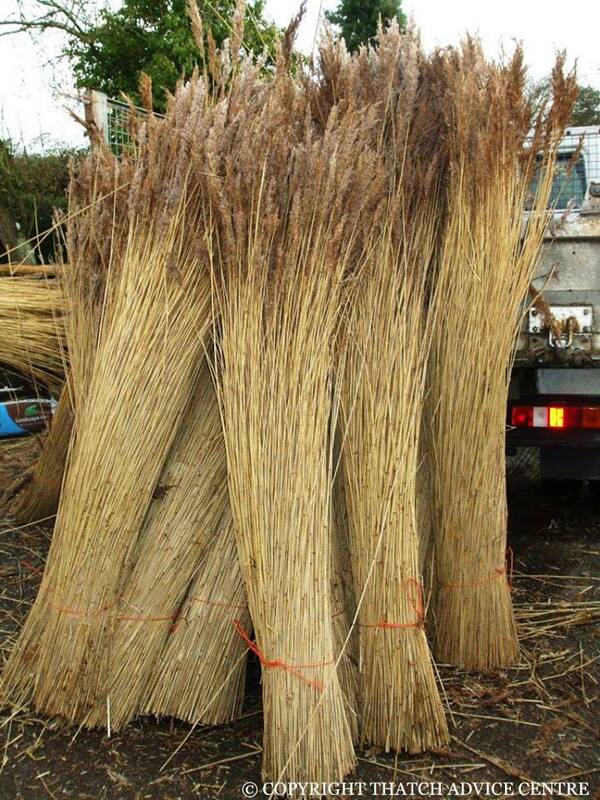 Water reed has been used as a thatching material in the UK for centuries. 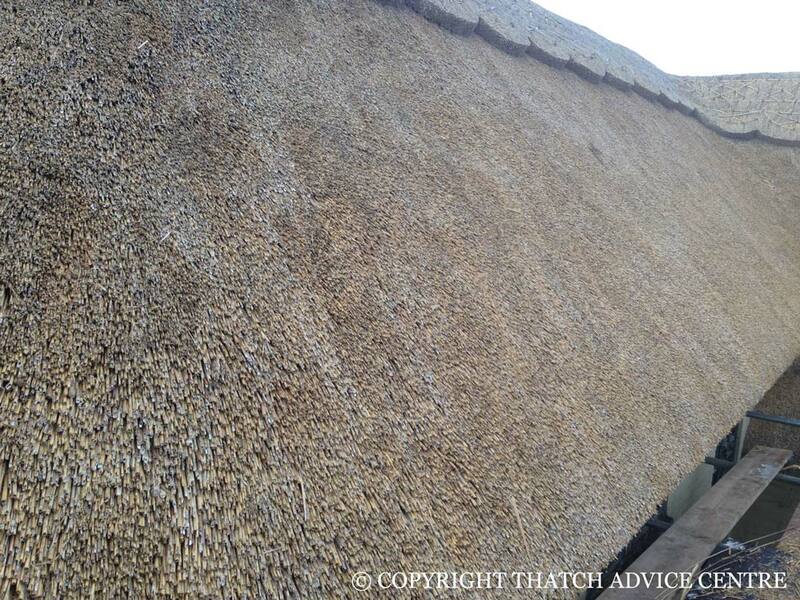 It is also the primary thatching material in Europe. The latin name is Phragmites Australis but this thatching material is more commonly known as Water Reed, Continental Water Reed or Norfolk Reed. This material is therefore the same plant but grown in different places. Continental Water Reed may come from places such as Austria, China, France, Hungary, Poland, Romania, Turkey, or Ukraine. All places where there are reed beds around rivers are sources of water reed. Irrelevant of where it comes from there is always variance in the material from length to diameter and also amount of tapering. All these factors affect which bundles of material are used on the roof. It will therefore be down to the skill of the thatcher in using the appropriate material for each individual roof. Lifespan of the roof also depends on the production of the material and its characteristics e.g. size, hardness of stem etc. 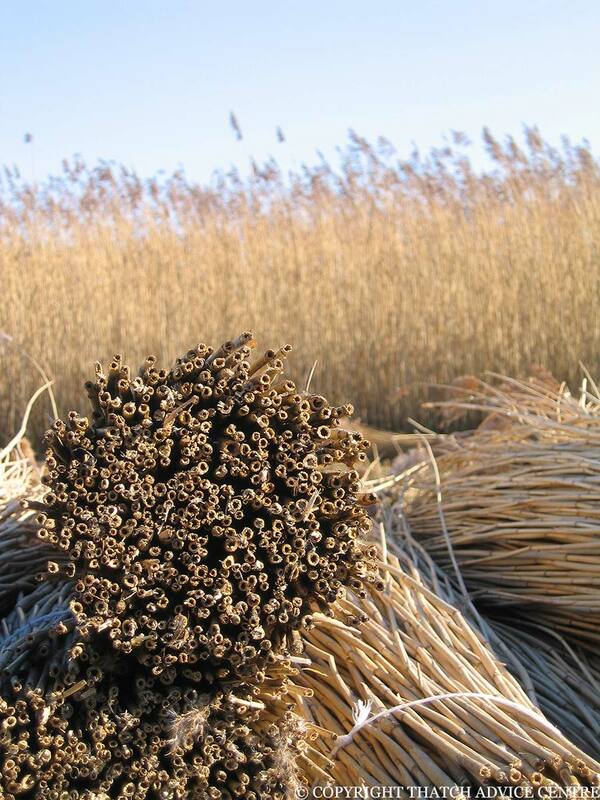 Norfolk Reed is primarily produced in Norfolk for use in and around Norfolk. Cost of production and limitations on amount are a factor in price and availability. It is unfortunate that there is not enough water reed produced in this country to meet the demand. Water Reeds grow on reed beds in river areas eg Romanian Delta, Norfolk Broads. 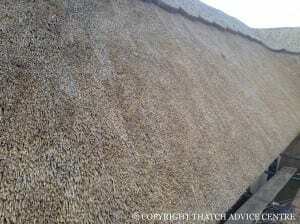 In order to produce good material for thatching it should be harvested every year. The reason for this is that if it is left longer the new growth will come up from the bottom among the older reeds and it will not be straight (dog legged). 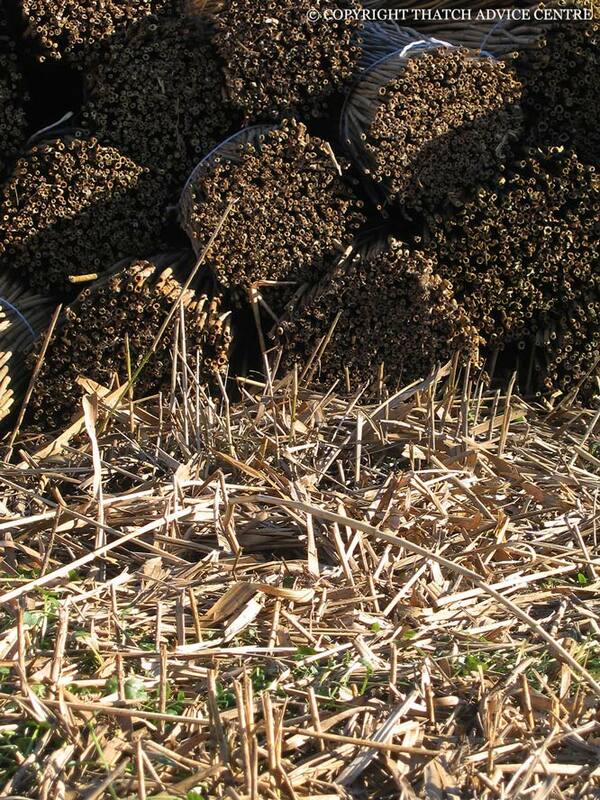 Straight reeds are required for best thatching practice. To get the best straight material that is not old and brittle the yearly harvest is done using a variety of methods. Harvesting of Water Reed is done in the winter time when animals are not nesting and the frost will have removed a lot of the leaf flag which is not required. It has to be cut, bundled and stored so once dry it is kept dry. It may be cut by hand. This is a labour intensive, environmentally friendly but slow and potentially expensive method of reed gathering. In the past, gathering local materials for local roofs by hand was the norm but now it is part of a thriving global thatching business and machinery is used. 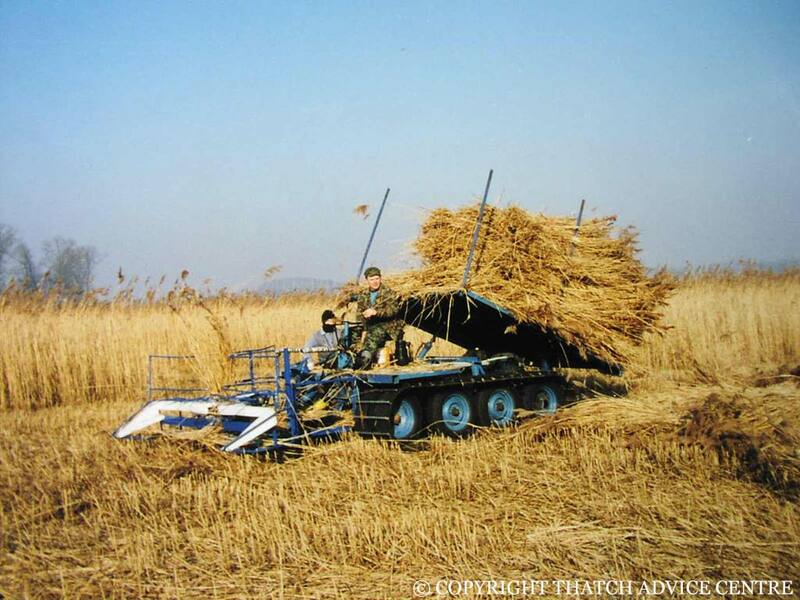 Most machines cut and bundle the reeds. Once the reeds are cut they are bundled and stacked like teepees until they are dry. 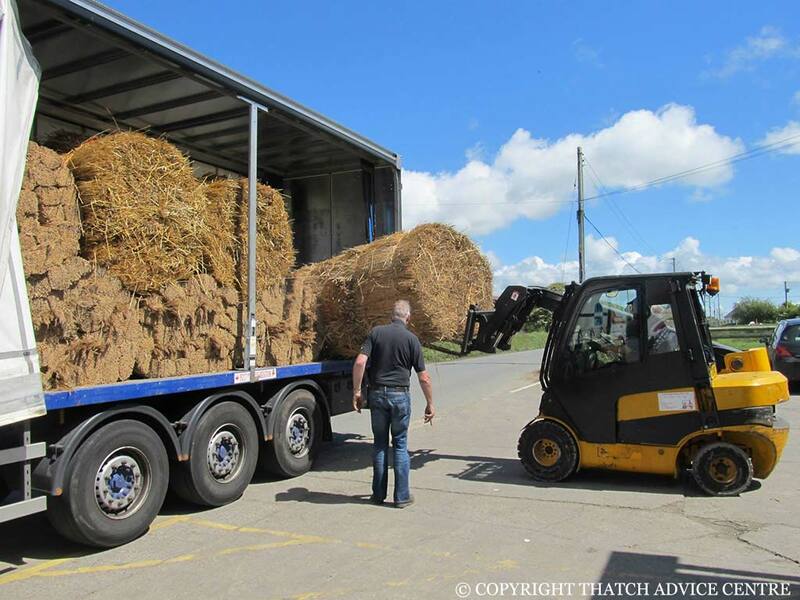 They are then cleaned out, by machine or by hand and bundled ready for thatching use. Some may be tied with raffia, or string or plastic bands. Usual size of a bundle is 60cm diameter and length ranging from 140 cm to 2m. The reeds can then be sorted by length and fineness. Reeds should be stored in a dry and non humid atmosphere with minimum handling to prevent damage. Moisture content under 20% is recommended. 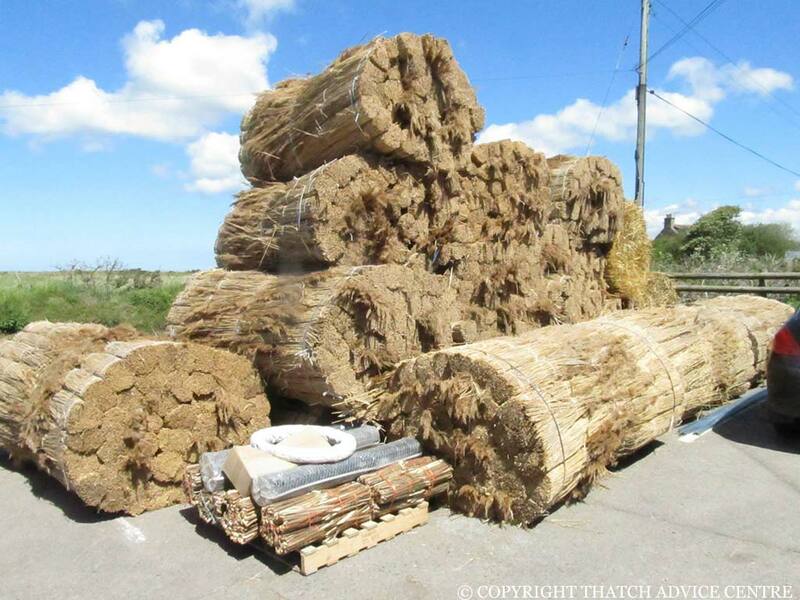 Bundles are often baled in 20s, 50s, 75s or 100 depending on provenance. Bales are strapped with plastic or metal bands for ease of storage and moving. Water reed is transported usually by container or by lorry and trailer into the UK. A container can hold up to 2,000 bundles and a lorry and drag up to 3,500. An average roof can use around 1,500 to 2,000 bundles of Water Reed. Once on the roof the bundles are positioned and the strings/bindings cut so the material can be fixed and dressed into place by the craftsman. Water Reed roofs are generally thought to be the longest lasting of the thatching materials, although there are always exceptions. Generally these roofs last between 25 – 40+ years. We know of several over 60 years old but factors in roof life are more than just the material. See life expectancy page. This are small, walk behind machines which cut the reed. Some machines also tie it into bundles as it goes. These machines are usually sit on and run on tracks. They are useful in traversing land but are the most damaging to the reed beds and as such are being phased out due to environmental impact. These machines, as their name suggest, run on huge tyres which spread the weight of the machine and also can float across water logged areas this minimising the damage to the land.